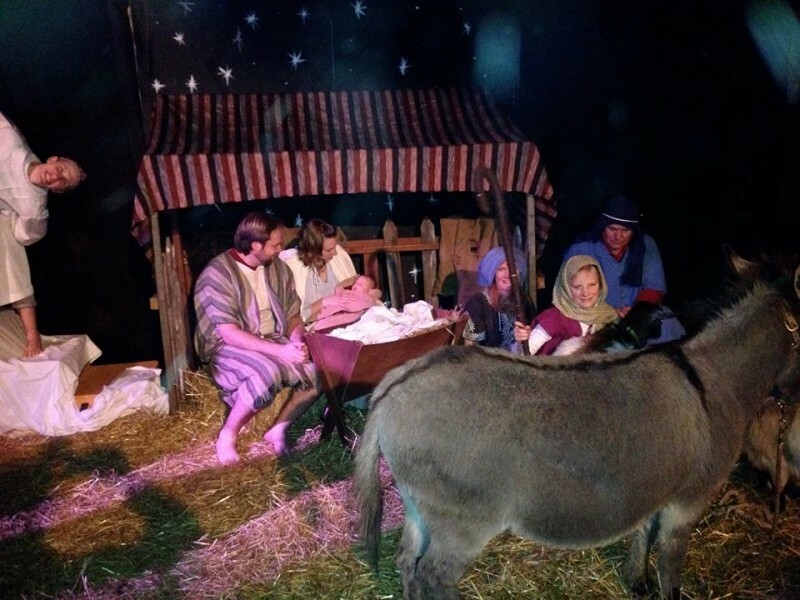 Journey to Bethlehem is a live drama of the events leading up to the birth of Jesus Christ and an annual tradition at Christian Temple. It usually takes place in the evening of the second Saturday in December. Witness a marketplace as it might have been the year Jesus was born where you may taste native foods, participate in native games or perhaps do a bit of weaving. Roman Centurions will guide you on the tour to see and hear the prophet Isaiah. Travel through the story to witness Isaiah’s prophecy come true. You will hear and see many miracles along the way including those from the angel Gabriel and from Mary’s cousin, Elizabeth. 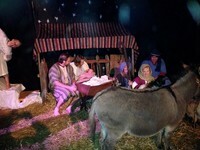 Other weary travelers will rest in the overcrowded Inn of Bethlehem before viewing the final miracle of Jesus’ birth among the animals in the live nativity. This is a very inspiring event for all ages. There is no better way to hear the story than to be in the story of Christmas.